Listen to this audio message from David Williams on hiring new IT staff. If you are thinking about hiring a technical employee, find out how much you can save by outsourcing your IT needs to 1 Call Service. No obligations. Managed services – remote and on-site maintenance of your network. Maintenance plans – avoid problems, eliminate service calls and lower your costs. Fixed fee IT agreements – support delivered 24/7 on-site or remote. Office cabling – relocating your office equipment and servers to a new home. Outsourced computer support – save on overhead, get all the benefits! Need Search-able PDF setup with network faxing and scanning. Years of IT expertise at your service! We started out hooking up routers over 20 years ago and evolved right along with the computer industry. The experiences are priceless and this web page would qualify as a book if the team wrote just half of the projects completed on behalf of our clients and our friends. We appreciate your interest in our services and look forward to meeting with you soon. We know you want 1 Call Service so go ahead and give us a call today. 972-418-2000 We also have a convenient contact form if you click here. Reminder: Get more out of your network with 1 Call Service! 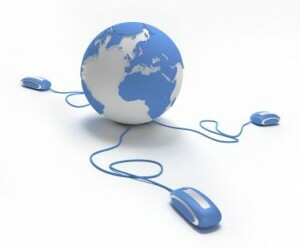 Managed services – remote and on-site service of your network. Maintenance plan reviews to eliminate problems, eliminate service calls and lower your costs. Fixed fee IT agreements – Always! Support delivered 24/7 on-site or remote. Outsourced computer helpdesk support saves on overhead, with all the benefits! No IT nerds here although they are a lot of fun to be around and always playing with something. When it counts you want 1 Call Service professional IT services! Since 1994!